"I think there are going to be a lot of people who aren't going to believe it." What is it that drives these high-ranking Department of Defense guys to talk to you about this stuff? It took a while. I took very strategic steps to earn their trust and to explain what this project could do and how I would unravel it. I mean, I did four-hour presentations in front of very high-ranking officers about how I was going to do all this. Then I would present my views of what the phenomenon is and what it’s doing. What I believed about those elements was very different from what pop culture believes. I wasn’t just regurgitating Sunday afternoon Ancient Alien shows. If you’re ready to travel down this hole, Chasing Shadows comes out April 5 and is currently available for pre-order. 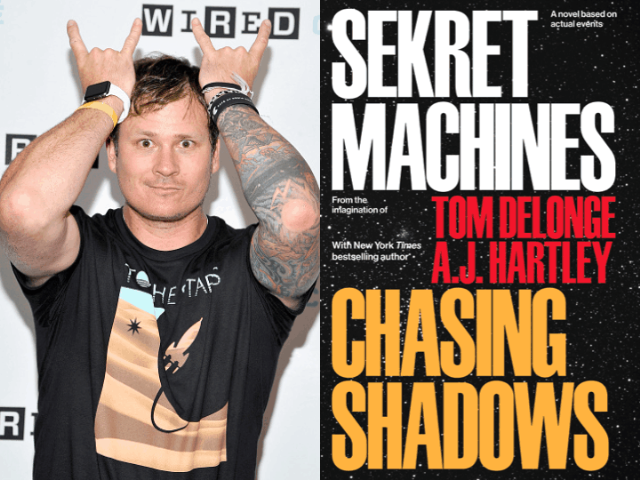 It includes an “Exclusive Sekret Machines Craft Guidebook” and a digital EP credited to Angels & Airwaves.